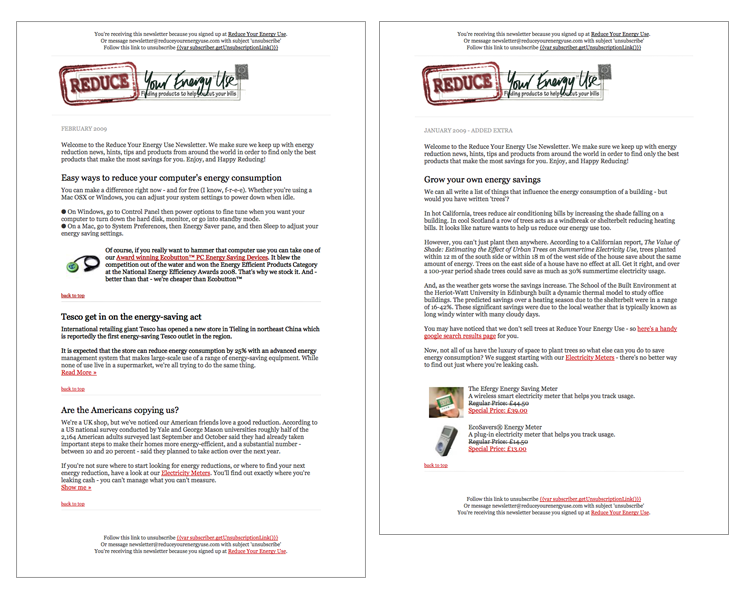 The ‘Tesco Value Range’ of energy reduction products uses The Hunting Dynasty to manage their email marketing. The strategy is simple; to write about energy reduction methods that are resolved by, or are related to, products that Reduce Your Energy Use sells. This is engaging. And useful. That’s reason enough to be hunted for the dynasty. But there’s more. Their retail model is very efficient: They don’t warehouse themselves. All their products are sent to end consumers from the first warehouse they get to after import. This is an important point – the amount of energy needed to move products to smaller and smaller stores before sale is ludicrous. And it’s never priced into the end product.